- Whitney was working the afternoon shift before our trip up to Stratton, Maine. 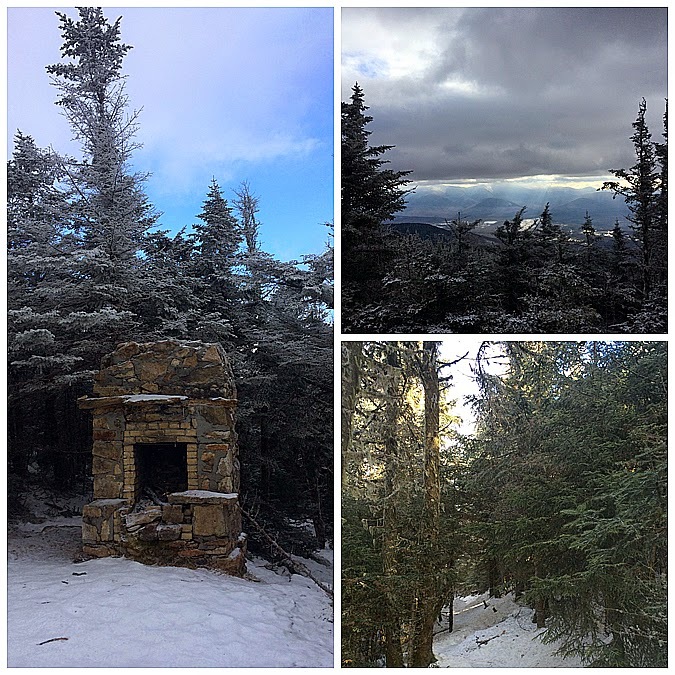 I decided to get in a quick morning hike up one of the easier winter 4K's, Mount Waumbek. 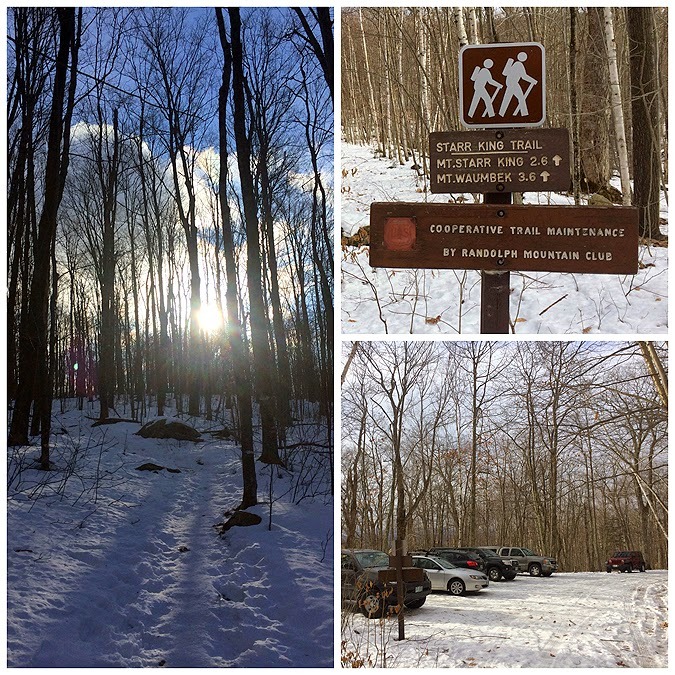 - Since there hasn't been a snowfall in a few weeks the summer trailhead is accessible with some care and a high clarence vehicle, lots of ice and ruts. I was surprised to find the lot full at 9:30 a.m. and the amount of hikers heading up Starr King and Waumbek. 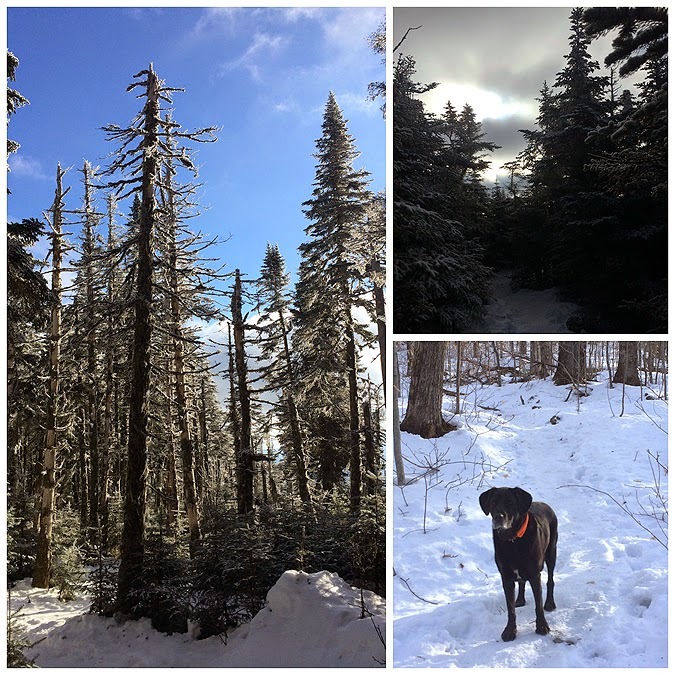 I counted just under twenty hikers and four dogs along the way enjoying the cold but nice day. 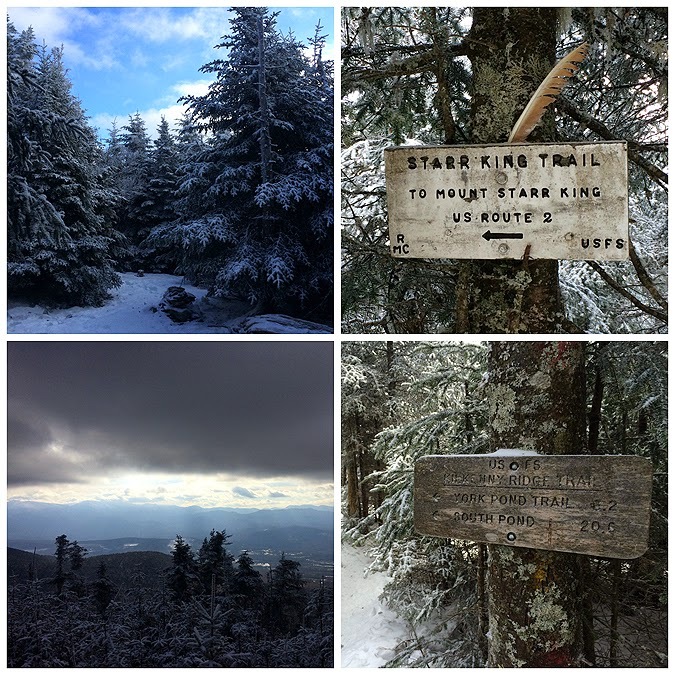 - The Starr King Trail has easy to moderate grades the whole way. 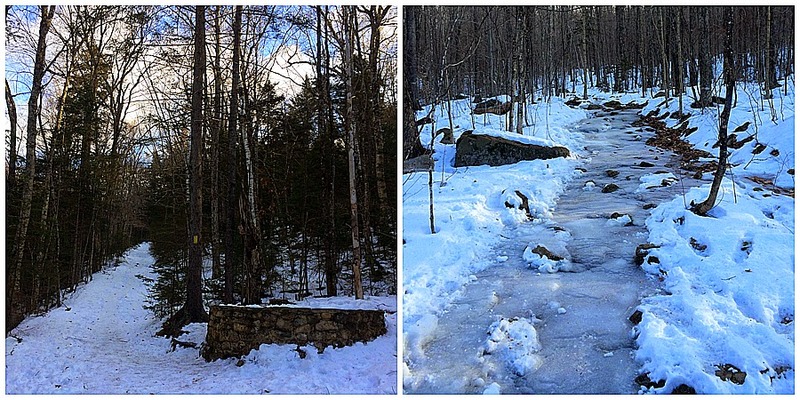 The first mile of the trail was a mix of bare ground, packed snow, and ice. My microspikes are severely worn down making the front points less than ideal when trying to bite into the icy sections. 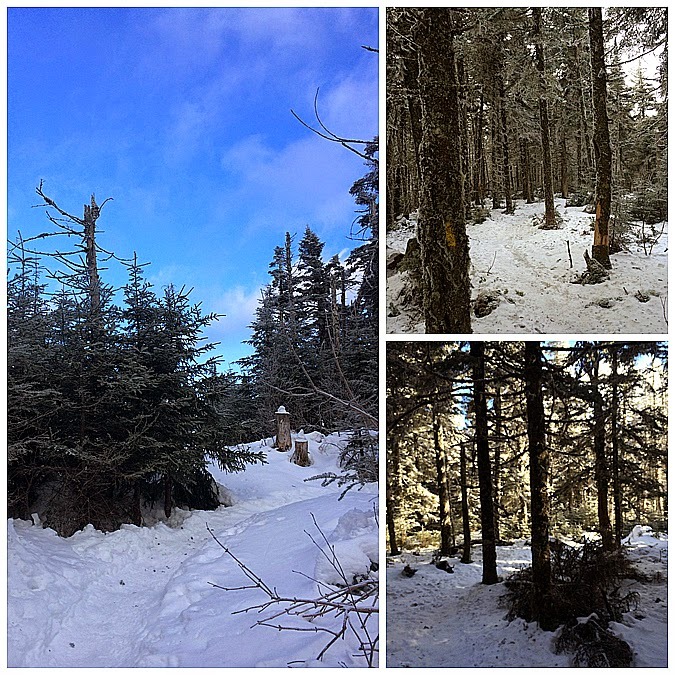 - The rest of the trail was in great shape buried beneath solid snow and the conditions made it built for speed! The highlight of the hike is the summit area of Starr King, there is an old stone fireplace and a decent view to the east. From Starr King the trail dips through an old pine forest before easily making it's way to the wooded summit of Mount Waumbek. If you head a few hundred feet past the summit there is an excellent outlook well worth checking out. 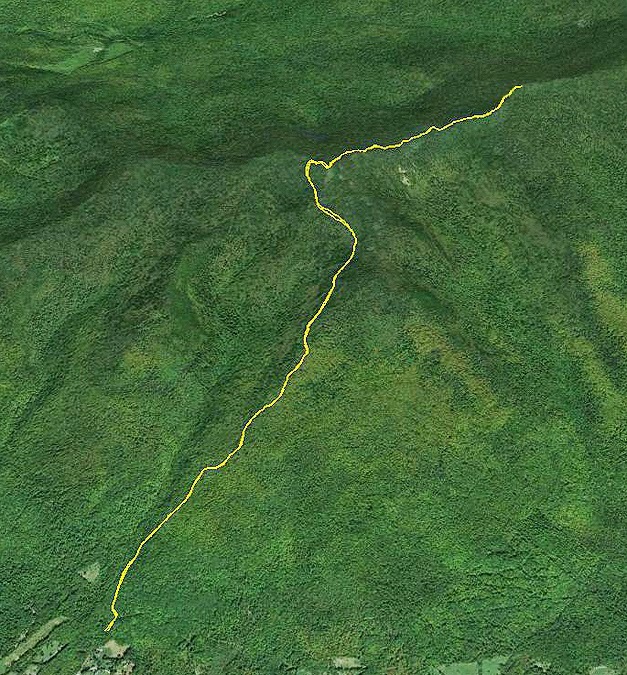 - I decided to run back down the mountain passing or running into everyone else who was hiking in the morning. I always stopped when I saw people coming up to let them pass and exchange pleasantries on what was a fine New Years day. - I made it back to the car in just under two hours after I had started. 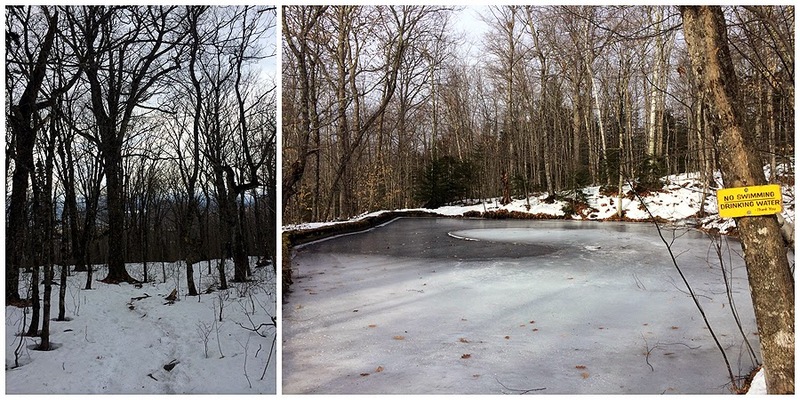 I went and checked out the little pond with the drinking water and then carefully made my way in the Jeep down the icy road avoiding sliding around on the icy and rutted road and playing bumper cars with the small sedans that lined the road! - Not a bad way to start off 2015! Beautiful photos. Warm greetings from Montreal, Canada. thank you and Happy new years, Linda!